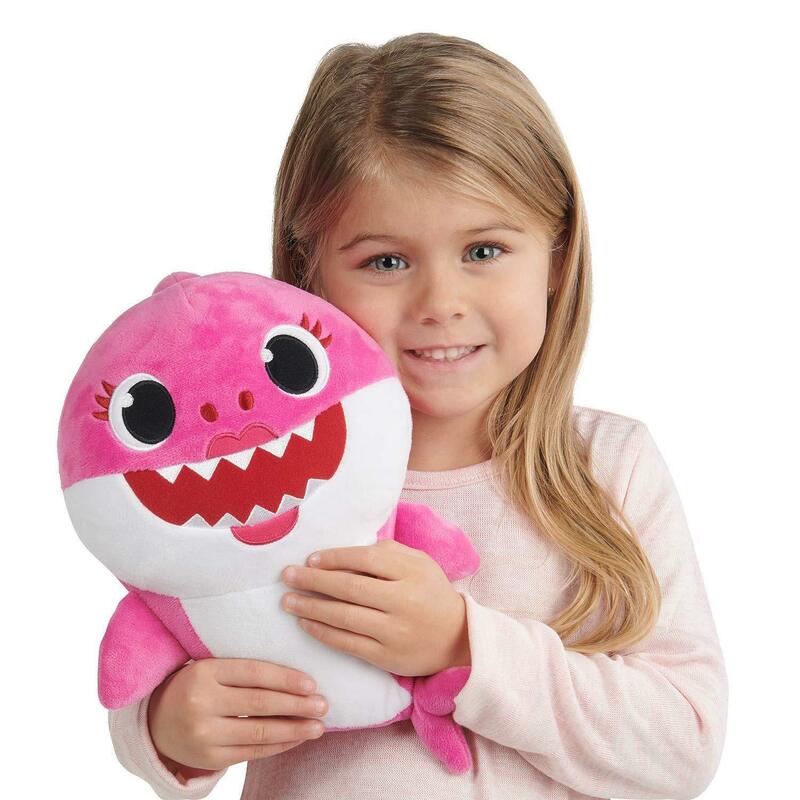 • The Toy Every Child Wants - Every kid loves the baby shark song, and they’ll love this singing adorable plush toy, too. It's so cute, cuddly, and it plays music your kid will love to dance to. • It's the Ideal Gift - You can’t go wrong buying this adorable plush toy. It’s the perfect gift for boys and girls over three. Great for birthdays and holidays. • Get the Whole Family - You can buy the baby shark, but there’s also a mommy and daddy shark, too. Buy all three and have a complete set. Plush is new and was baby shark. Daugther loves it ! Size and quality of material is good. The song is annoying but kids love it. Other than that, it's just a nice stuffed animal and your kids are probably going crazy over this song so if you can even get your hands on one of these, get it before it sells out. Perfect gift for my son! As much as this song drives me crazy, this toy is great! Great job guys! My kids love playing with this cute shark toy. So Cute! Baby Shark Plush. 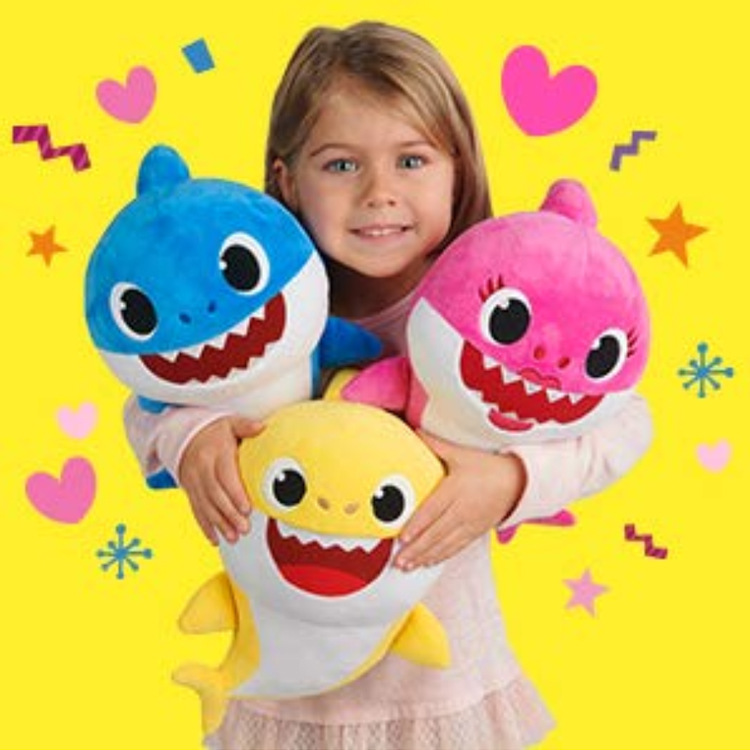 Oh my daughter is going to love this she's obsessed with baby shark very nicely made and soft and a good size. I need to buy the other 2 now !!! Dude. Everyone needs this. EVERYONE!!!!!! Very Lovely and perfect gift. I ordered this for y 18 month old son who , like every other small child loves baby shark. It was delivered in a few days, is nice quality and sings the "baby shark song". He loves it! I just received yesterday and it's just so adorable. I bought two of these for my one year old niece and nephew. They're obsessed with the song so the gifts went over well! this is a very cute little stuffed animal. very soft and well made. Thank you so much to whomever decided to make this song quiet out of the shark, my 1 year old wants to play it repeatedly and it's not overpowering, it's just loud enough that she can hear it and love every minute of it and we don't want to throw it out the window, thank you!! My one year old niece loves this thing! She will dance along with it. This shark is an awesome gift for the parents who have given you those loud annoying toys in the past! Big and plays without issue. Son loves it !